Win a Trip to the 2017 CMA Music Festival from Cracker Barrel! Win a Trip to the 2017 CMA Music Festival from Cracker Barrel! Five grand prize winners will receive a trip for two to Nashville, TN to attend the 2017 CMA Festival including: round trip airfare, four nights hotel accommodations, and two tickets to the CMA Music Festival to be held June 8, 2017 – June 11, 2017. 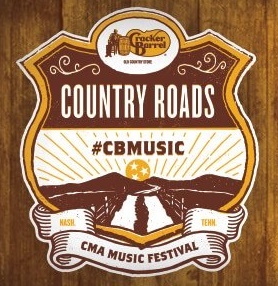 CMAFestMeetandGreets.com is merely reporting the availability of this contest and is not affiliated with, endorsed, sponsored by, or in any way officially connected with the CMA Music Festival or Cracker Barrel.